Is our population the reason we are poor? 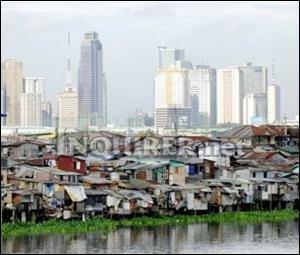 In my last blog, I spoke about how the Philippines is NOT overpopulated. One commented that our population density is more than the US, so that makes it appear that we are running out of land. I think it is obvious that our country has a denser people to land ratio. Obviously because you can fit in the Philippines in one of those US states. But that does not mean we are overpopulated. It just means we have a smaller country. China is the MOST populous country, and the SECOND richest. India is the SECOND most populous country, and the THIRD richest. Brazil is the FIFTH most populous, and the NINTH richest. It can’t be that our population is the cause of our poverty. We are the TWELFTH most populous, but the 36TH richest. Sure, you can say that China, India and Brazil have greater land mass, and so have more resources that they can exploit. So let’s look at another example: JAPAN. Japan has approximately 364,000 SQ KM and a population of 127,078,679 (July 2010 est.). Very close comparison to our 298,170 SQ KM and 97,976,603 (July 2010 est.) population. They are the TENTH most populous, and we are the TWELFTH. Yet Japan is the THIRD richest country, and we are the 36TH. So is it population? Or land mass? Or something else? Our overseas Filipino workers, according to The Economist, remitted $15.8 billion in 2009! And according to the World Bank, will increase by 8 more percent in 2010! We didn’t get affected by the recent economic crisis. Our skyline is full of new high rises and malls. You see new cars on the street everyday. So why are we still a poor country? I am going to say: CORRUPTION. This document says it all: “The Philippines is cited with increasing frequency … as a country where corruption is a factor that inhibits foreign and domestic investment and which may be eroding the country’s competitive position.” It goes on to talk about how corruption can be fought, and what needs to be done. I don’t believe our country is overpopulated. And neither do I believe that if we control the number of people we have, we will become a richer country. Instead of trying to limit the population, we should be coming out with ways to fight corruption! Get rid of “SOP” of giving money to all the people involved in projects. There is so much we SHOULD be doing to combat corruption. And yet, we focus on other things. Previous Is the Philippines overpopulated?